My fears had come true. 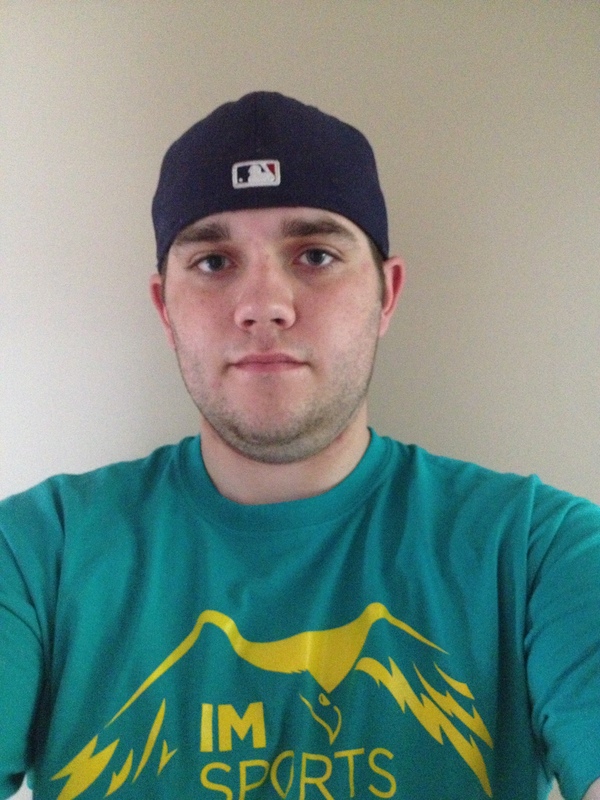 It was May 11, 2013 and I was out chasing spring gobblers in Upstate New York when I stumbled upon him. 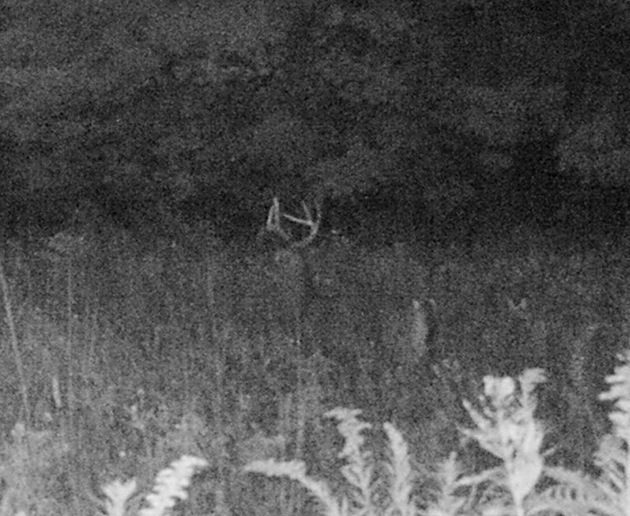 It was the end of the mystery – I now knew what had happened to this buck 8 months prior. It’s something we as hunters never want discover, but unfortunately we do from time to time. 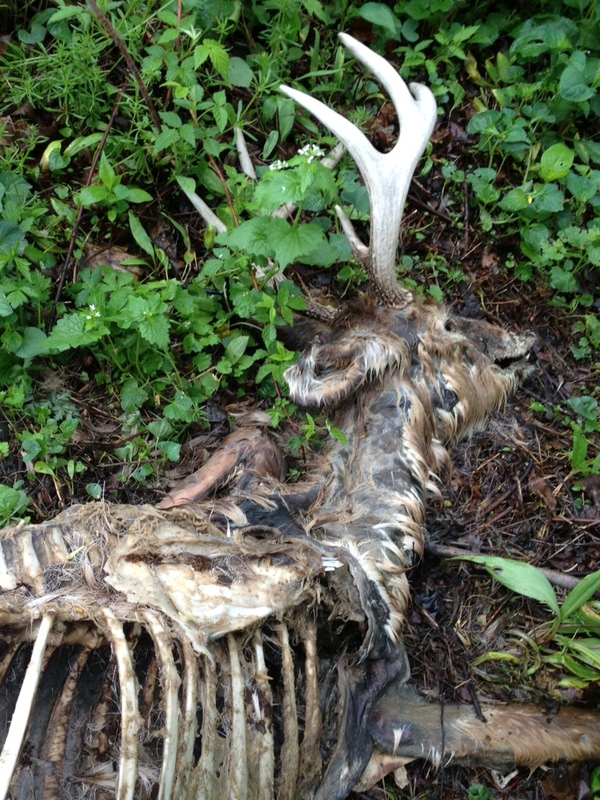 Finding a dead rotten buck is never a pleasant sight, especially when it’s a deer you recognize. It’s a theme that many deer hunters experience, we focus in on a particular buck only to have the animal disappear for one reason or another. Such was the case here. I had captured several trailcamera photos of this buck back in mid-September. They weren’t the best quality images, but I saw enough of the deer’s antlers to interest me. I knew the buck was a definite up-and-comer and I looked forward to monitoring his progress and finding him back the following season. Trailcam image from Sept. 2012. The 2012 hunting season came and ended without a single sighting of this buck. The next time I would lay yes on him would be that warm May morning. The buck lay dead nearly a mile from where my Bushnell Trophy Cam had captured those images of him back in September. It’s always a bitter-sweet moment when you discover an animal like this. On one hand you’re relieved that you know what happened to him and on the other; you’re disappointed and saddened that he’s gone and won’t be around for the upcoming season. And then there’s always the question of how the animal died. G5 T3 – Pokes out from bone. I began inspecting the 8-pointer for clues as to what may have lead to his death, and there in pain sight was the answer. 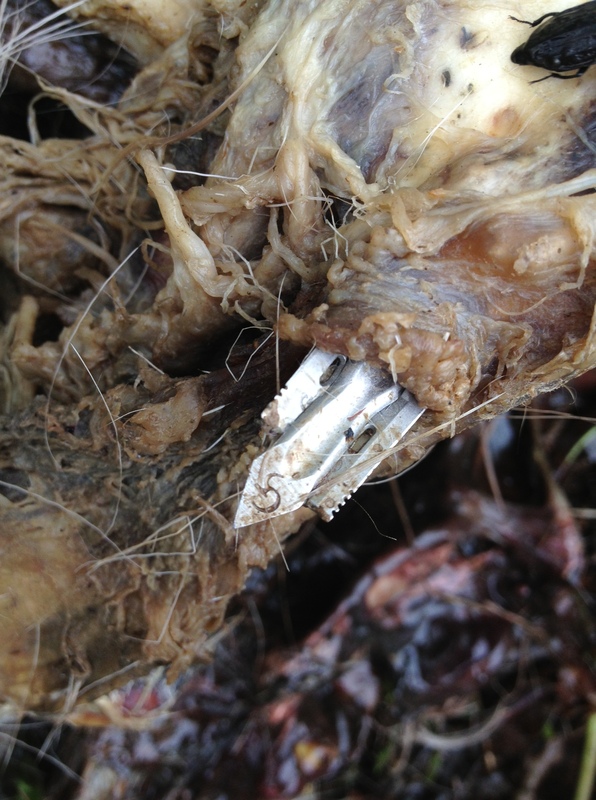 A G5 T3 Broadhead was wedged in to the buck’s right shoulder blade. The finding left little doubt that the deer had been shot by a fellow archer and never recovered – most likely because the arrow never penetrated the deer’s vitals. This story would end here if I lived in Texas or Illinois, but I don’t. I reside and hunt in New York State. 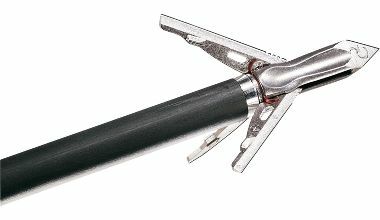 I tell you that to tell you this: G5’s T3 Broadheads are illegal for hunting purposes in NYS. A quick check of the NYS Department of Conservation’s website will tell you that ANY barbed broadhead is illegal. Period. Image of G5 T3 – illegal in NYS. Clearly the T3 fits this description. I’m unsure of who shot the buck – and to be honest, I don’t really care, but may I suggest that he or she pay a visit to http://www.dec.ny.gov prior to heading out to the local pro shop to stock up on next season’s broadheads. As for the buck, I salvaged his head and plan to do a european mount on him. It’s a shame really, but at least I now have answers to my questions. I traded my Nike frees for camo boots. 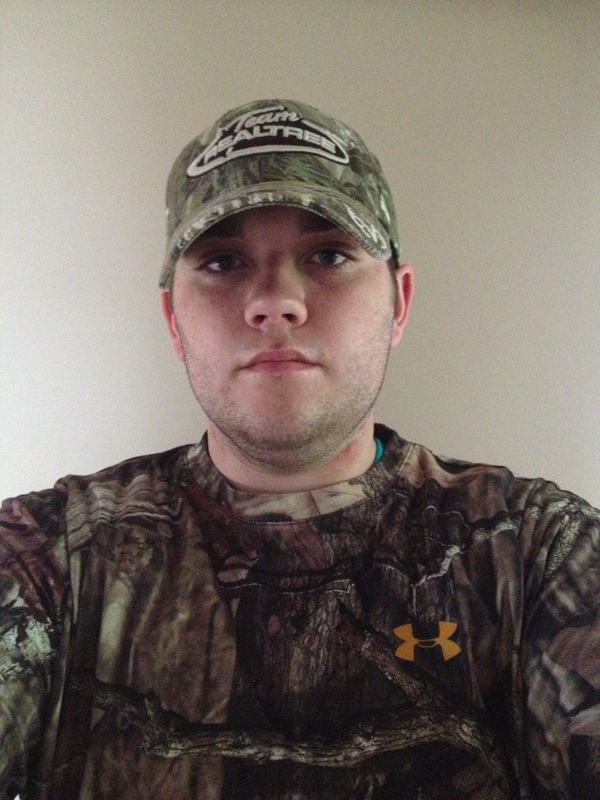 I traded my flat-billed Cleveland Indians ball cap for a fitted camo Team Realtree hat. I traded my backpack and books for a backpack chair and a turkey decoy. I traded my Under Armour hoodie and Nike shorts for a camouflage coat and pants. I traded my pencil and pen for a slate and box call. I traded in my beats by Dre headphones for my shotgun. And I traded going to work and class to go hunting. Jake Ray transformed into hunter! Going to school in Ashland, Ohio, the home of Ashland University (an Amish community), I am not far from fields, woods and animals. Hunting is a part of people’s lives here. On campus, it is not unusual to see a camo hat, camo backpack, or even a horse and buggy riding up Claremont. Ashland is also home to Fin, Feather, and Fur Outfitters. This is great for me because it’s a place where I can go and get away from everything – be in an atmosphere that I am comfortable in. Being here makes me feel at home. Hunting and being in the outdoors has been a part of my family for a long time. This made coming to college easier. Sharing hunting stories, getting permission to hunt on friends’ land, all of this made the transition easier. Being in school from August to May, I am in Ashland for both major hunting seasons. Even though I go home on the weekends to hunt with family, I have been hunting in Ashland a couple of times. 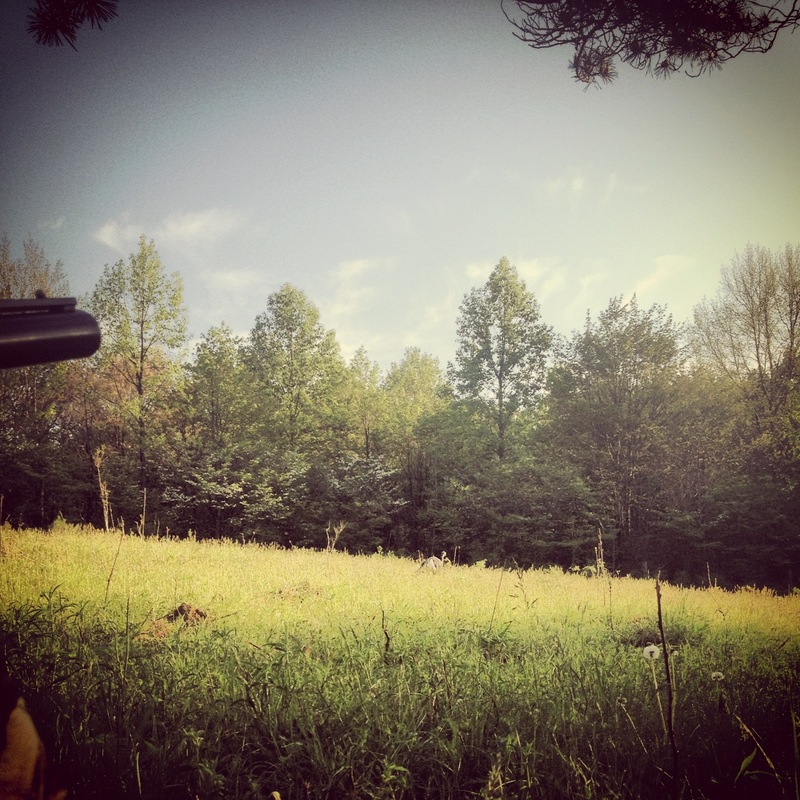 In Ashland, I do not hunt on a lot of land, only six acres, but it’s hunting. Any land is better than none and hunting is, well … hunting! Hunting has been a way for me to release stress and just get away from the hustle and bustle of the college atmosphere. I am not a typical college student. I don’t party. I don’t drink. I am in bed before midnight almost every night. I get my work done on time, I study, and I don’t procrastinate. A lot of other students would dread getting up before the sun rises to go sit in the woods and be quiet for 3 or 4 hours. No Instagram. No Facebook. No Twitter. I don’t care about any of that. I love it. Hearing the woods wake up and seeing what our wonderful God has created is one of the greatest feelings in the world. 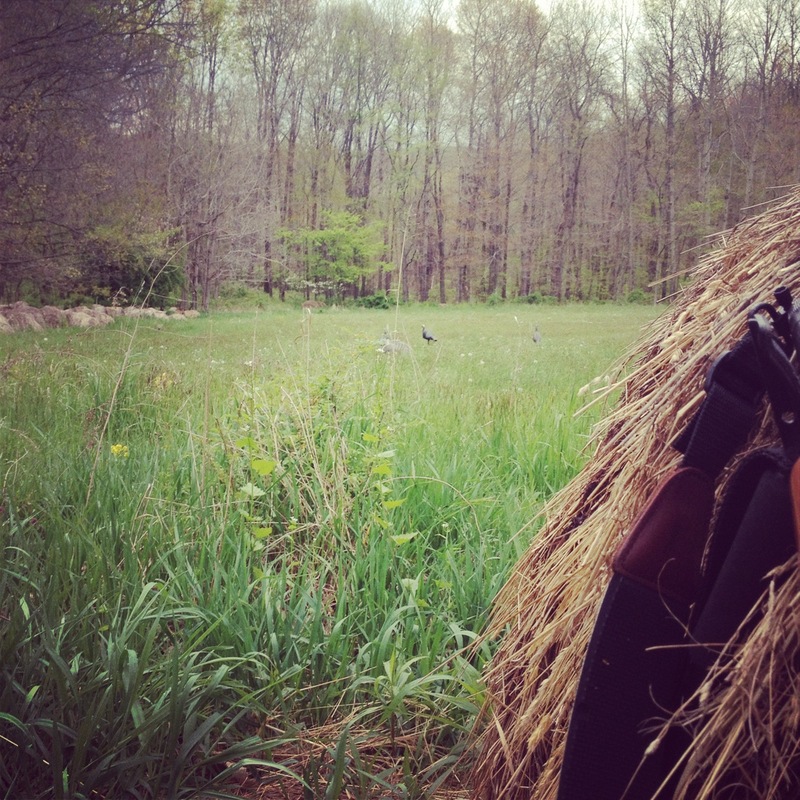 Because of circumstances, I was not able to hunt in Ashland the opening week of Ohio turkey season. But I did go back home and hunt on land I am very familiar with. My dad and I had built a turkey blind the week before, using the knowledge of what the turkeys did last year. This is the spot I sat – my hunch was right. It wasn’t the big double bearded Tom I was looking for, but seeing turkeys made the day worth it. The first one I saw was a hen that I called back and forth in. It came and went with no problem. About an hour and a half later, I caught movement out of the corner of my eye. It was a Jake with a hen behind it. They came up the same way the first hen did. I called to them, hoping to lure the Jake to my decoy. It didn’t work, but it did pull the second Jake that I did not seen right to my decoy. No turkey or a tagged bird in the truck, but it was a day I got to spend in one of my favorite places – the woods. A day in the woods is never a day wasted. Yes, I could have slept in. Yes, I could have eaten a good breakfast and worked on homework. Yes, I could have gone to class. But I didn’t. I went hunting.